California isn’t one of the first places you think of when it comes to BBQ but in Central California they have their own unique style. 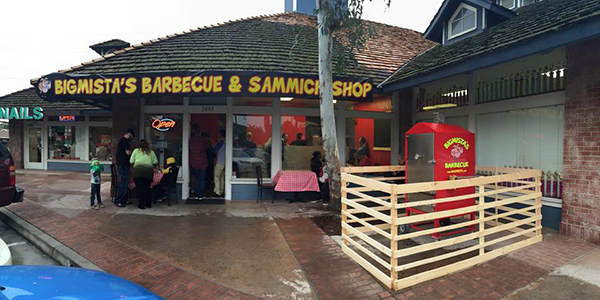 Santa Maria BBQ is a land of salt, pepper and garlic Tri Tip. 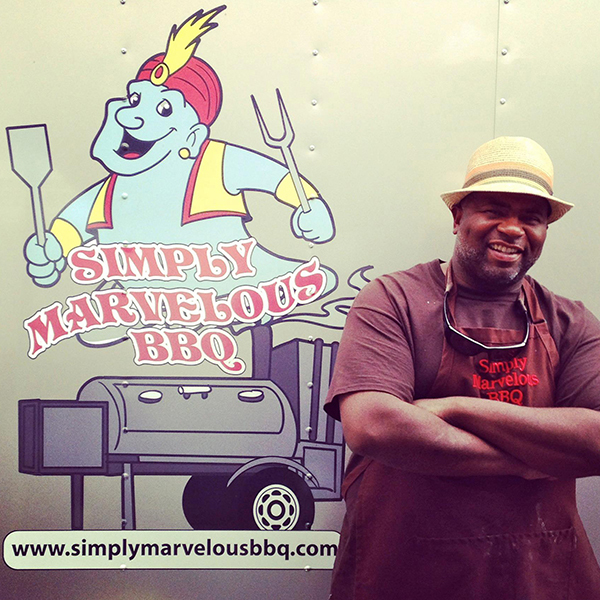 We had the pleasure of talking to California Pitmaster Stephan Franklin from Simply Marvelous BBQ about his state. Andy- What’s your earliest memory of BBQ? Steph- BBQ picnics in my grandparents back yard. They would grill ribs and chicken on a Weber Kettle and after dinner all the kids would gather around the residual charcoal burn and toast marshmallows. Andy- How did you get started in BBQ? Steph- In graduate school, I worked for university housing and we had a lake right there, so I would light the grill, close the lid, grab my fishing rod and come back in an hour with a couple bass. I would then filet them and grill them up. Post graduate school, I took a job at the University of California Santa Barbara; right there on the ocean. I started fishing on party boats and one day we caught some barracuda and a guy on the boat introduced me to smoking this fish. I learned how to smoke fish, then chicken, turkey, tri-tip, ribs, pork and brisket and so on. Andy- In your opinion what make your state’s BBQ different/better then everyone else’s? Steph- Our state is more eclectic in it’s flavor profile. We simply have taken the best of what the BBQ meccas have and combined them to make our own great BBQ. 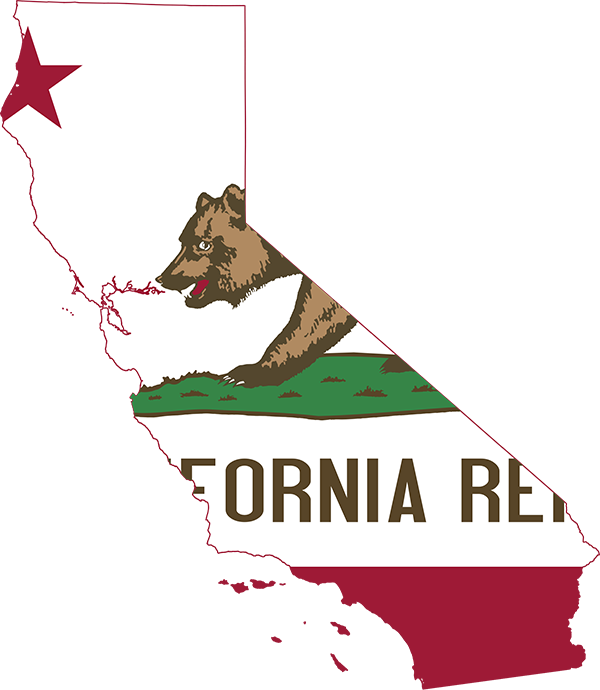 California is the best kept secret in BBQ in the world today competition wise. As more and more of our pitmasters break off to open restaurants, the food in those establishments will excel too. Andy-Does your state have separate sub regions of BBQ, if so how do they vary. Steph- No, I think the “West Coast Offense” pretty much is dominating the California competition BBQ scene right now, thankfully. I can not suggest that we have different styles of BBQ in food eateries either from a sub-regional stand point. Steph- It would have to be Big Mista’s BBQ, we started out together catering. So, I would like to think he learned something (just kidding)! Steph- I just love smoking anything that takes four or more hours. 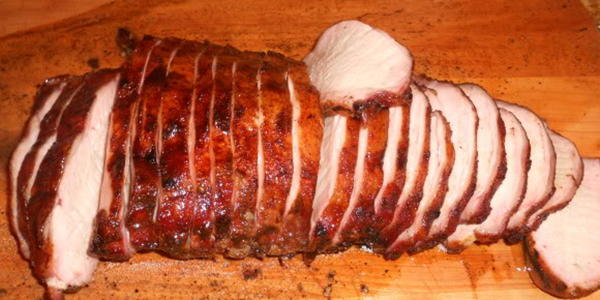 So, I will have to say ribs, pork butts and briskets and other roasts. Let the loin rest for 20 minutes before slicing.